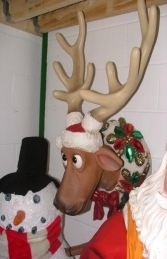 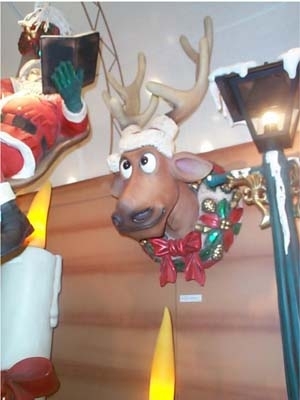 Funny Xmas Reindeer head with a bright garland around his neck, his antlers can be removed to make storing easier. 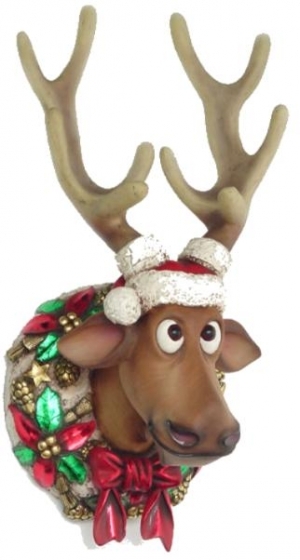 Our Funny Xmas Reindeer head model can be attached to a wall or can be used to huge effect in your Christmas shop window display or Grotto. This figure is a great Christmas decoration and is ideal for all businesses, pubs, restaurants, coffee shops, adventure golf courses, children’s farm’s, zoos, theme parks etc to decorate and promote Christmas events, activities and parties or this would even look fabulous in your own home or garden for a Christmas display to outdo all the neighbours. 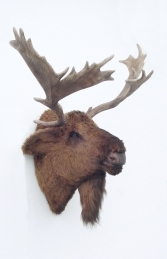 Approximate max dimensions: - 57 cm x 50 cm x 55 cm - Please note the sizes do not include the antlers.